This year marks the 25th anniversary of establishment of diplomatic relations between the Republic of Azerbaijan and the Republic of Latvia. Official events were held on November 16-18 on the occasion of the 100th anniversary of the State Independence of the Republic of Latvia. 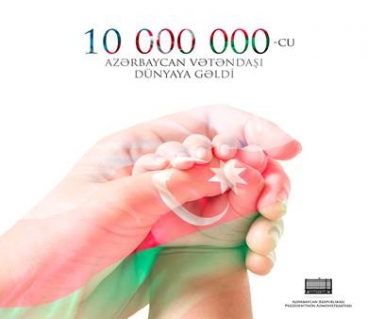 2019-04-15 Azerbaijan's population reached 10 million. 2018-11-22 Official events were held on November 16-18 on the occasion of the 100th anniversary of the State Independence of the Republic of Latvia. 2018-09-27 Ambassador Javanshir Akhundov met with newly appointed Ambassador of Turkey in Latvia. 2018-07-20 On July 19, 2018, a delegation led by Justice Minister of the Republic of Azerbaijan Fikrat Mammadov paid a working visit to the Republic of Latvia. 2018-06-04 “The Republic” newspaper issued and article devoted to the official reception and concert program on the occasion of the “100th anniversary of the Azerbaijan Democratic Republic”. 2018-05-30 Ambassador Cavanshir Akhundov gave an interview to the famous Latvian State Radio LR4. 2018-05-11 Commemorative events devoted to the 73rd anniversary of the victory in the Great Patriotic War were carried out in Riga on 9th of May, 2018. 2018-02-19 Ambassador Cavanshir Akhundov attended at the celebration dedicated to the 80th birthday of Madame Vaira Vīķe-Freiberga, former President of the Republic of Latvia. 2016-10-03 On October 3, President of the Republic of Azerbaijan Ilham Aliyev received a delegation led by chairman of the Saeima of Latvia Mrs. Inara Murniece. 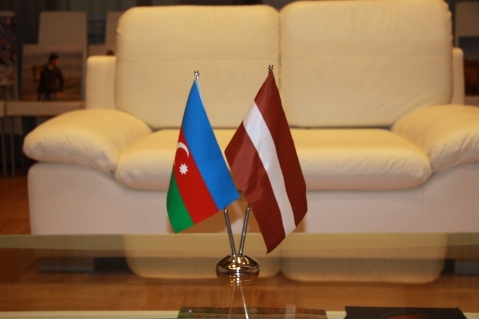 2016-06-08 Latvia considers Azerbaijan as an important partner in the South Caucasus. 2016-04-20 Ambassador of the Republic of Azerbaijan presented copies of letters of credence to MFA of Latvia. 2015-11-18 The Ambassador Extraordinary and Plenipotentiary of the Republic of Azerbaijan in the Republic of Latvia His Excellency Mr.Elman Zeynalov has held a traditional annual meeting with Azerbaijani students currently studying in Latvia. 2015-11-16 The news about the considerable number of human casualties resulting from ruthless terror acts carried out on November 13, 2015 in Paris have deeply shocked the people of Azerbaijan.